Online Avenue are an online men and women’s shoe retailer that stock gorgeous an affordable footwear! 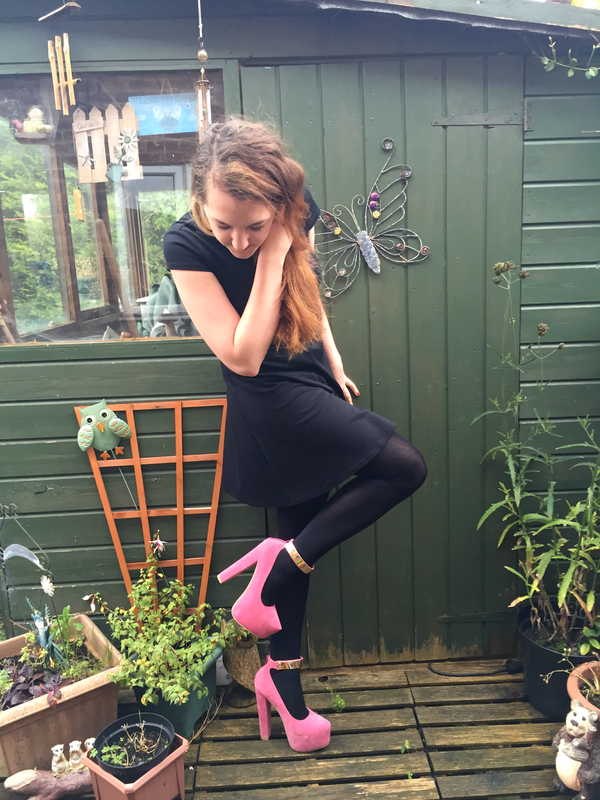 I was delighted when I received an email informing me that they’d be sending me a pair of their gorgeous heels, I think I actually squealed! I was lucky enough to receive these Itzel Retro-Look Metallic Strap Court Shoes* in a gorgeous almost baby pink shade. They’re available online now right here(Site no longer available) in a choice of six different colours for just £23.99! (Including black which I think I might just have to add to my now ever growing list of things to buy myself haha!) 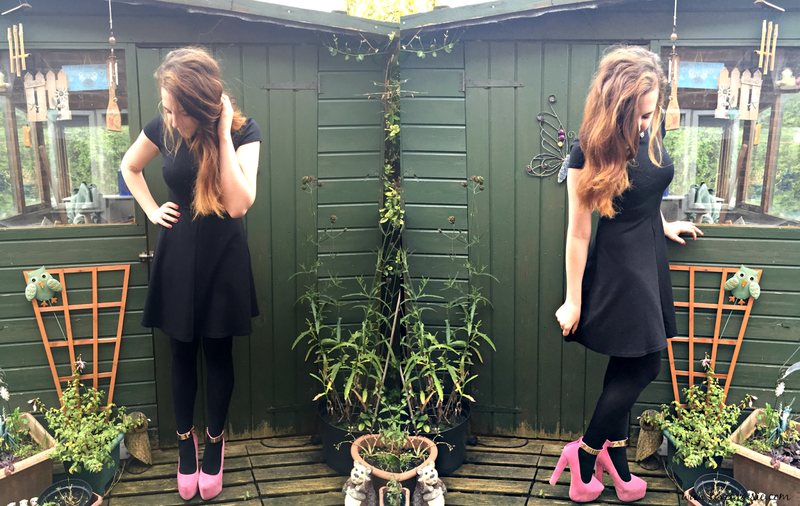 I decided to style these amazeballs heels with one of my favourite dresses of all time! 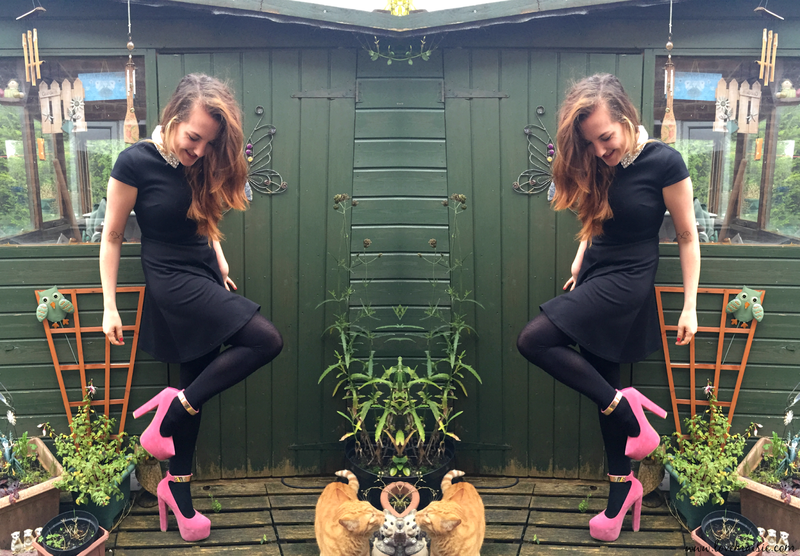 I picked up this beauty in Dorothy Perkins a couple of Christmases ago and wore it as my “New Years Dress” and since then, I’ve styled it differently for different occasions! Yes, the shoes are incredibly high, but they’re actually surprisingly comfortable! They have a large platform(2 inch) at the front of the shoe, which makes the heel(6.5inch) height not seem/feel as scary! I really adore the chunky gold ankle strap, I think it’s what makes these shoes that extra bit special! They zip up at the back of the heel which makes me feel a bit more supported, which is comforting y’know, when you’re struttin’ your stuff, six and a half inches higher than usual. I think these Online Avenue shoes would also work really well with some boyfriend jeans and a plain white top, don’t you think? Let me know if and how you’ve styled them so I can have a look! I also really love the look of the Ivette Cut Out Lace Up Heels, like ohemgee gorgeous! Have you purchased anything from Online Avenue before? What do you think, are you as in love with your tootsies as I am?! Let me know! *Disclaimer: Although this item was gifted to me by the above company, all opinions on the product are 100% honest and of my own and are not representative of the company. I would never give a false/misleading review of a product, no matter what relationship I have with the company.